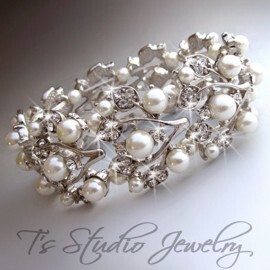 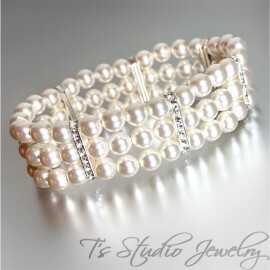 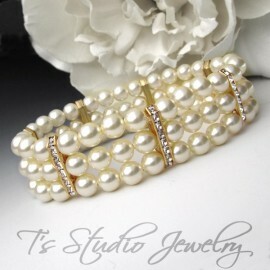 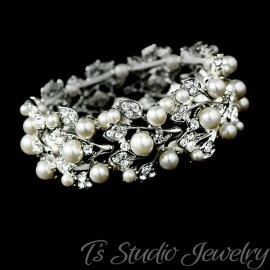 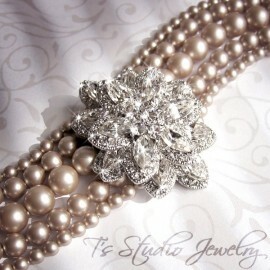 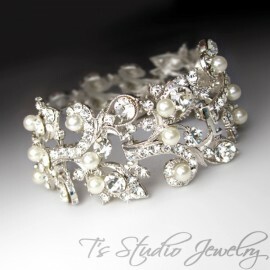 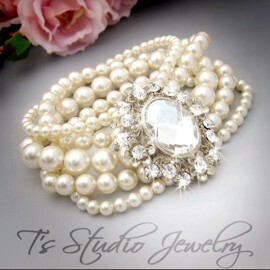 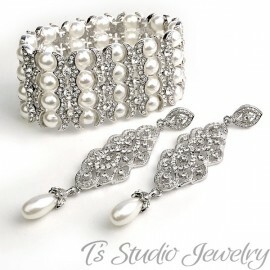 Perfect for a vintage theme wedding this bracelet is made with Swarovski Crystals and Pearls, mixed with just the right amount of silver. 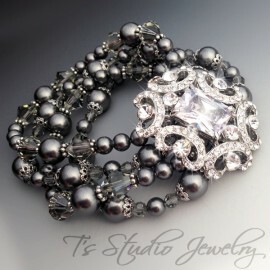 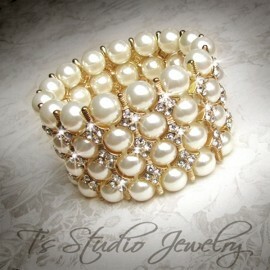 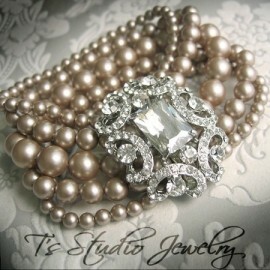 A gorgeous silver magnet clasp is adorned with clear Swarovski Crystals. 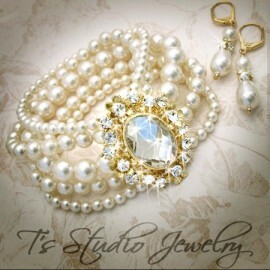 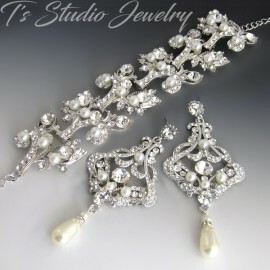 The matching earrings are made with an antique silver base accented with a combination of teardrop pearls and crystals. 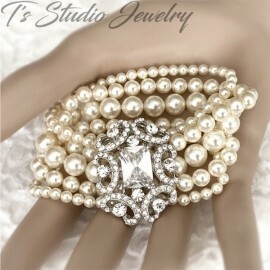 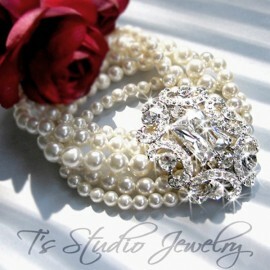 Platinum pearls shown in main photo. 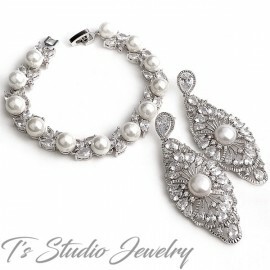 If you need help choosing the correct pearl color to match your dress or accessories, please contact me, I am happy to help coordinate your colors and make your special day perfect.